You have decided your marriage is not working out. You want to divorce, but your friends have told you horror stories about dragging your divorce through the court system. You remember reading an article about Gwyneth Paltrow’s “conscious uncoupling” and her decision to use mediation instead of litigation. Where do you turn?? To collaborative divorce mediation at Peace Talks! At Peace Talks, we do collaborative divorce: a non-adversarial approach to dissolution. We avoid the litigation over property, parental rights, and pride that destroy families. Peace Talks’ collaborative divorce is the preferable way to dissolve your marriage because it is 90% less expensive than litigation. It is confidential and private. Your discussions, disagreements and decisions are never public knowledge. Peace Talks makes divorce mediation a sane, sensible, and affordable alternative. Practically speaking, collaborative divorce mediation involves a series of meetings between your partner and yourself, tailored to help you reach agreements in as amicable a manner as possible. A team of interdisciplinary specialists, an attorney, a therapist, a financial expert, and potentially other experts provide you with information to help you make excellent decisions that are in the best interests of your children and your family. Collaborative divorce also demands another important factor: complete honest and full disclosure by both sides. A collaborative mediated divorce cannot be successful if facts are hidden from the other person. Thus, one of the first steps at Peace Talks is to voluntarily exchange all financial information. This enables our financial specialist to analyze your economic situation and present you and your partner with an accurate analysis of your financial situation. This information becomes the starting point for discussing the division of your household. 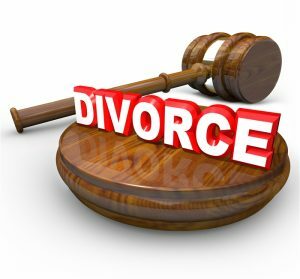 An advantage of collaborative divorce is that you do not have to comply with mandated court rules. The two of you can come up with a solution that respects your shared goals. During divorce, your life can seem chaotic, overwhelming and spinning out of control. At Peace Talks, together we develop a clear and systematic plan to keep the level of emotional strain to a minimum. While the process can be shorter than litigation, approximately 4 to 6 months, we work at your pace. An additional benefit is that meetings at the Peace Talks’ offices are arranged to fit your time schedule, not an outside party like the civil court’s. Another significant asset is that our mediators give you an opportunity to develop communication, self-management and negotiation skills that will help you during the divorce mediation process and beyond. The skills you achieve at Peace Talks allow you to be involved in the decision making process each step of the way. It also enables you to create a mediated settlement that attains the goals you mutually designed at your first meeting. In our opinion, the most important reason to choose Peace Talks is that the well being of your children is protected. At Peace Talks, our team of mediation specialists ensures your children’s needs are paramount. With your input, we work to create a parenting plan that is in the best interests of your children. Not only do we consider your present situation, we discuss the developmental stages of your children and devise a plan that looks to the future while remaining flexible. As you can see, at Peace Talks, the cooperative nature of collaborative divorce mediation can reduce the emotional stress caused by a break-up of the family and lead to a settlement that works for you and everyone involved. We believe by selecting this process you are ensuring the success of your future co- parenting and providing a safe family environment for your children to flourish. Give Peace Talk a call today and schedule your complimentary consultation. See how collaborative divorce mediation can bring peace to your world. Call us at (310) 301-2100.